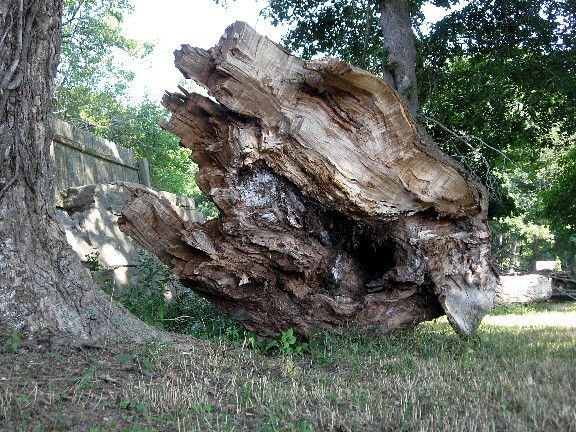 A huge tree is rotten, and needs to be removed. 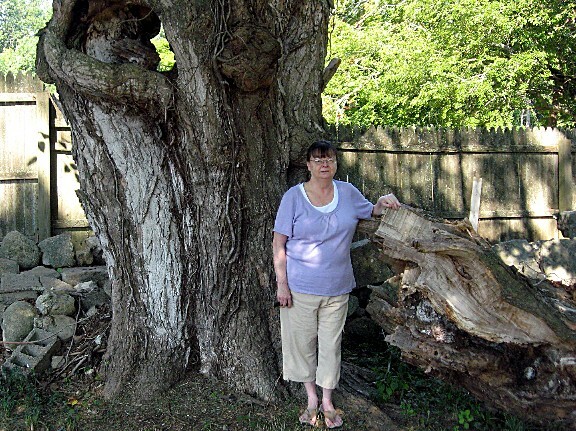 It is located in the ideal spot to shade the cemetery for the past century or longer, now it has already dropped a massive branch, and threatens to shatter the fragile grave stones when the rest of the tree falls down. 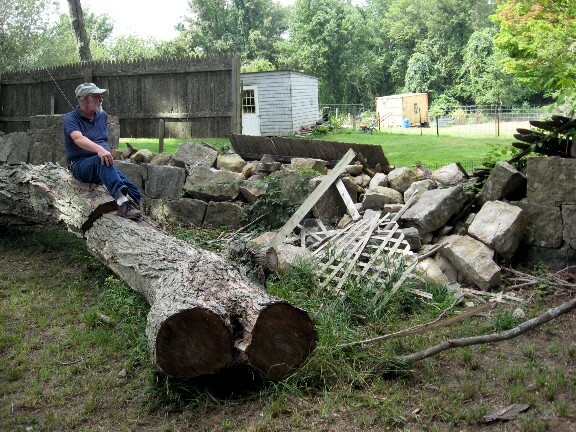 It is in a delicate position, so it must be removed by a fully insured professional arborist. In Rhode Island, no Town owns the cemeteries, everyone does. That means that the expense of hiring a pro falls on the entire community. The Town of Hopkinton will not pay for this tree to be removed. The donations from individuals in the community are vital to this project. HHA will also put up a considerable sum. 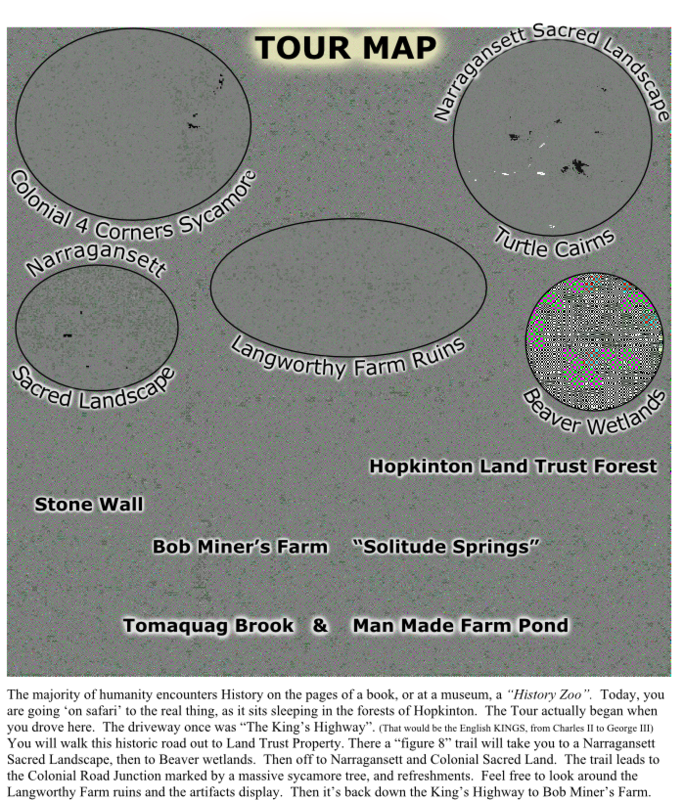 HHA will combine both totals and ask the Town of Hopkinton to join us in this Community Funded Project. There is a good chance that with sufficient demonstrated support already in place, the Town will contribute to this Joint Effort. But it all starts with the Community. Donation Information is at the bottom of the page. Please help preserve our Historic Heritage. HISTORY: Who was General George Thurston of Hopkinton, RI? After the Revolutionary War, unique Hopkinton had an actual General running the town’s general store! LOCATION: Where is the General George Thurston Cemetery in Hopkinton, RI? Located 20 feet West of Route #3 at telephone pole #218. It measures 92 feet by 64 feet, in fair condition, and is enclosed with a stone wall; The marker sign is in good condition. The site contains 28 burials, with 22 inscribed stones and 6 fieldstones. Who Is Buried In Hopkinton Historical Cemetery 17? George Thurston and his descendants married into some of the prominent families of his day and later generations. If you have the last name of any of these people, or if you know your genealogical lines, these people may be your family, and you should be especially interested in preserving their graves. 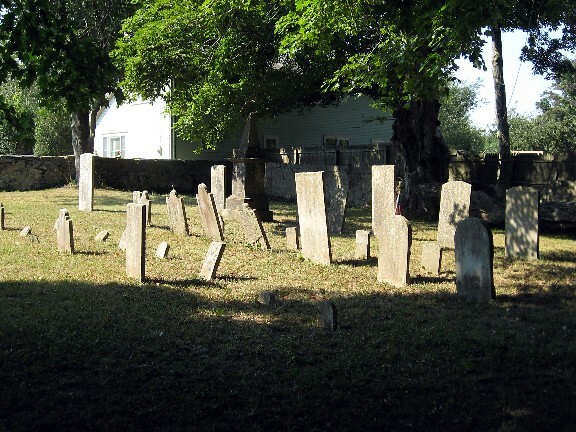 In Rhode Island, neither the State nor the Towns own the cemeteries. They are a heritage that is entrusted to all the citizens of every community. 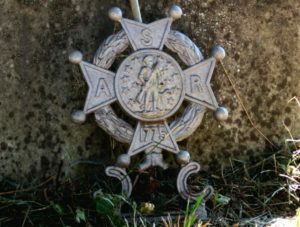 The Hopkinton Historical Association has a long history of voluntary maintenance at many of the town’s Historical Cemeteries, including #17. 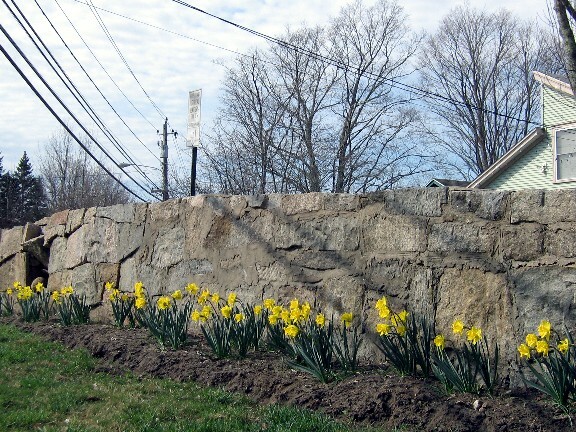 This is what the front wall that parallels Route 3 looked like in the Spring of 2013. A branch fell off the rotted Sugar Maple in a late Winter storm. 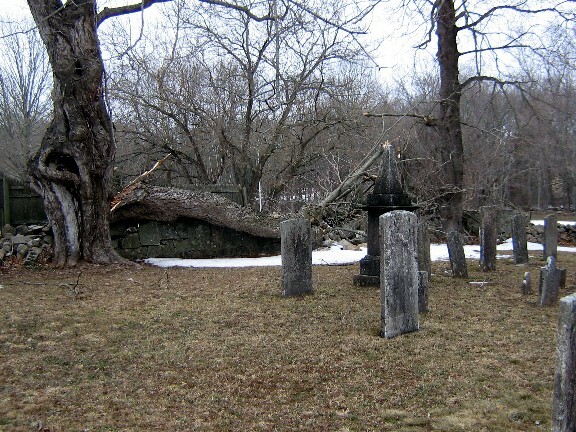 It smashed younger trees in it’s trajectory, tore apart wooden fencing, and knocked a lengthy stretch of the Cemetery’s rear wall into rubble. 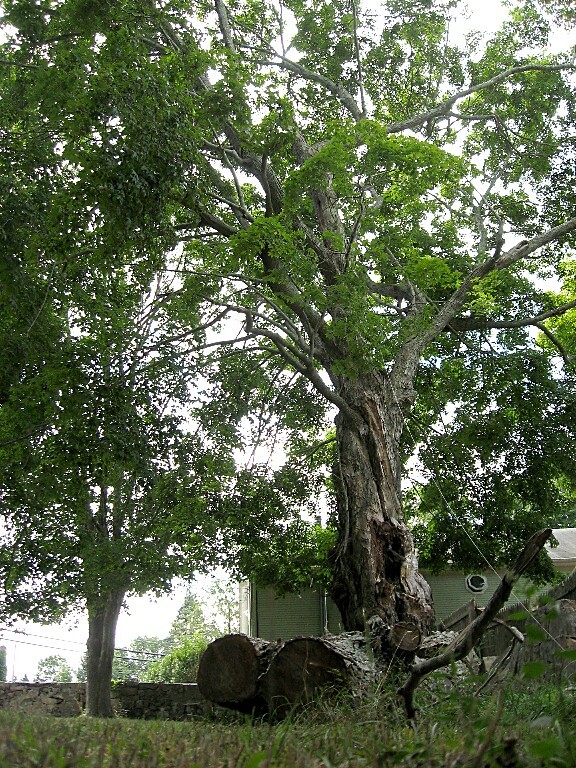 In the next two photos, besides the massive size of the tree, note that the core is so rotten that you can see through the tree on the upper left. Also note the branch was adhering to the trunk only on the fresh break along the top, and the rest of the branch/trunk joint had cracked previously, as this wood is weather discolored or outright rotten, with one hollow at least three feet deep. You can see the tree is a gravity powered time bomb. This photo shows the proximity, and danger, to the final resting place of General Thurston, a veteran of the Revolutionary War, and the Patriarch of the several families interred here. There are approximately 106 Veterans of the Revolutionary War buried throughout Hopkinton. If you wonder why our tiny Town has so many hits on a Non Profit Web Site, it is because HHA takes pride in showcasing and educating people interested in our town’s Narragansett & Colonial Origins. 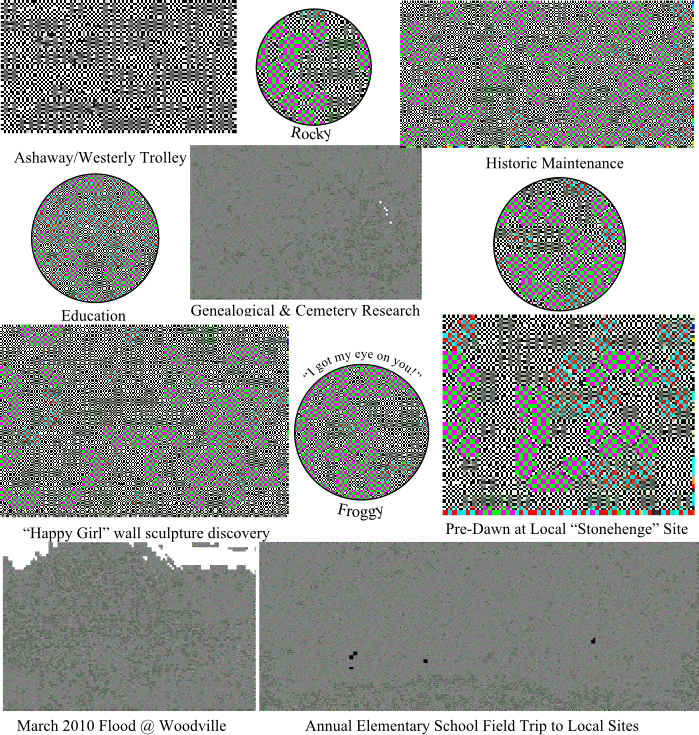 Taking care of the Cemeteries is part of our “Deeds”, and amplifies our Educational “Words”. This is the cemetery we need your help in protecting. Please, if you can, donate to our Community Project to protect this gentle spot. 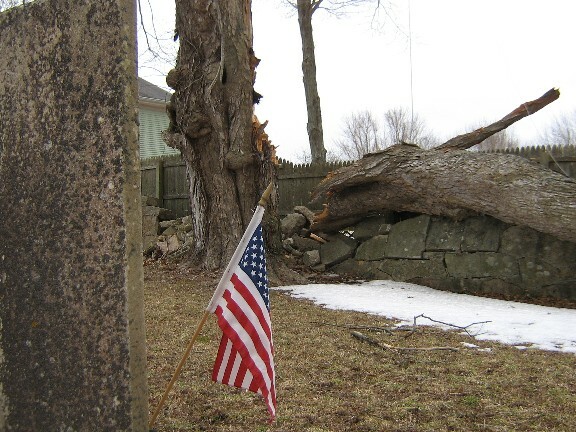 Earlier you saw a photo of one branch devastating a mortar reinforced stone wall. 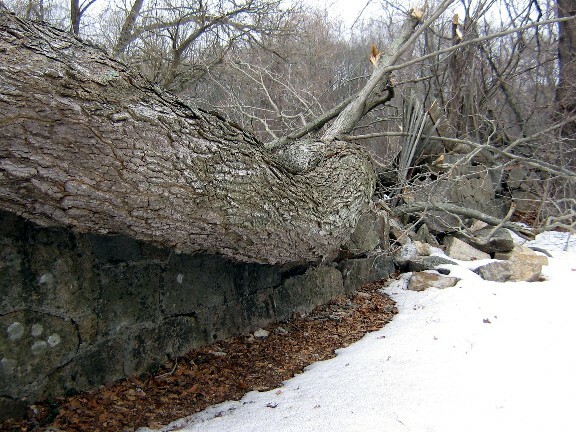 Imagine the irreparable harm these fragile stones would suffer if the entire tree came down. And the King of all the trees of New England’s forest is the lofty Sugar Maple. For a century or more, the tree that now menaces these graves was their crowning glory. But now, it’s days need to come to a peaceful end. The photos you have seen so far give you an idea of the close proximity these graves and the tree have had for so many years. If you go by the rule of thumb that a tree’s roots extend to the edge of it’s leaves “Drip Line”, this tree has embraced the entire Thurston family for decades. In this last picture, you see most of the 100 plus feet of this towering Sugar Maple. But all the site factors combine to make removing this tree a matter of great delicacy. Hopkinton is chock full of self sufficient men with chain saws. But felling a tree in the forest is one thing. Taking down this limited access giant is a completely different story, one that requires a well equipped, skilled Professional, to bring it safely down, cut it up, and remove the remnants, all while preserving the Cemetery intact. The bids we have received back range from around $2,500 to over $3,500. Those are daunting numbers if this problem tree was in my front yard. But the problem tree is in EVERYBODY’S front yard. If you are moved to contribute what you can, finding the funds ceases to be a problem. Previously on the site, I explained that the Town will not unilaterally pay for this. The tree is in either NOBODY’S yard, or it’s in EVERYBODY’S yard. If nobody cares, neither does the Town of Hopkinton. What we need is enough people to donate $10, maybe $20, and HHA will combine your donations with our donations and show the Town that we think the tree is in everybody’s yard, even theirs! The other thing to be aware of is how many people from all around the US and the World who hit on this site, who will read what we are trying to do. As of this posting we have nearly 1500 hits from over 570 different cities from over 35 different countries. There are a lot of people looking over our shoulder, Hopkinton, to see if nobody owns the problem, or if everybody owns it. As the Webmaster, I want to write the page and assemble the photos from our members showing how we took care of the problem. My money is already in the jar, and I know that in just a few days we are already in triple digits. A lot of people already “own the problem”. Go to the “Contact Us” page and mail HHA a check. Mark the Memo Line “Thurston Cemetery”. As a “Thank You”, if you are not already a member of HHA, include a note with your Post Office address and your e mail address, and HHA will give you a one year complimentary membership in the Hopkinton Historical Association. 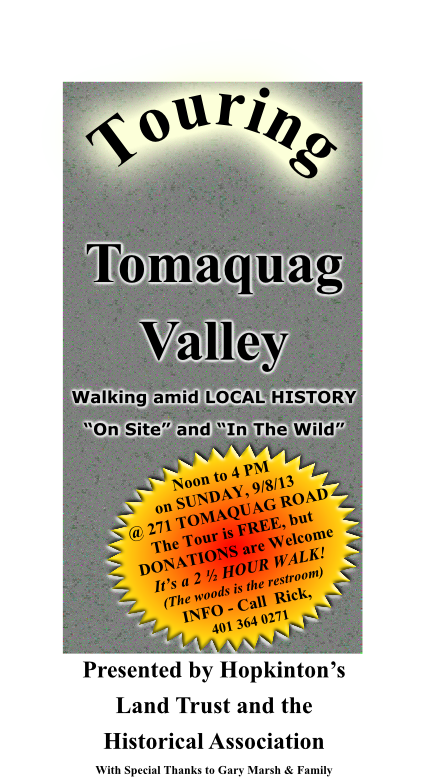 We prepared the following Tri-Fold Hand out brochure for those people who will be walking the Tour, and wanted to share it with you visiting us on the web. The primary side is devoted to the actual tour, and in the “double wide” interior depicts a stylized Map route and some photos of what each group will see. On the back side, we have a brief description of what HHA does, and on that “double wide” interior we have a collage of HHA annual activities. After the flow stopped, then I dealt with the deep lagoons, but I was extremely fortunate compared with my neighbors. But the Big Picture said we all were fortunate, as no one was killed in Hopkinton. The Woodville Bridge was closed for many months, then came the rebuilding of the road, the demolition of the ruined bridge deck, and the reconstruction of the Woodville Bridge, which salvaged the old piers. Traffic returned to normal, and for a month, everyone appreciated how useful bridges over rivers are, they they became “Modern World” invisible again. Amazingly, the transformation started in Rick Prescott’s front yard! This cut down his photo taking travel time immensely, plus, you get to see the last of his 2010 Cosmos flowers in his front garden. That massive machine scoops up the old asphalt from off the road bed, leaving only dirt and memories behind. Once the reconstruction job got underway, it was fascinating to see the thoroughness of the process. We joke about highway workers leaning on their shovels, but the Cardi Corporation got it done! Thank You, from one of many who often use this bridge. Is it FLOTSAM, or is it JETSAM? Grade yourself on the honor system after you read BOTH definitions. Hozabout THAT! Both definitions are equally correct when applied to the clog glop in my basement! I hereby declare that EVERYONE who took the FLOTSAM/JETSAM quiz is a WINNER!